Due to having some training in the Gottman Method, Levels 1 and 2, I am competent in helping couples to communicate together more effectively, make better decisions together, and create faster, better resolutions to conflict. This approach aims to increase respect, affection, and closeness. I aid in helping the couple to break through and generate greater understandings, as well as keep conflict discussions calm. 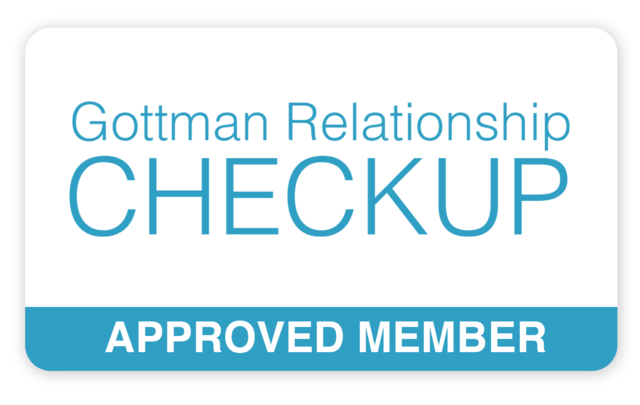 The Gottman Method seeks to help couples build happy and stable marriages. During the 6 weeks, I help couples to develop greater ability to use skills for joining, reconnecting with one another, I introduce skills that will aid the couple in making more mutually satisfying decisions, as well as enjoy deeper intimacy, and restore the relationship by addressing unmet needs and deep rooted fears. This 6-week group is limited to six couples. Cost: $55 weekly (per couple). Groups are forming for the Spring register to save your space. Additional intake sheets will be sent to you via email or regular mail prior to the start of group. *There is a one time charge of $29/per couple for an online couple’s assessment.